Have you made money in some months, only to lose them all later? You find a new trading strategy which makes money at the start, but stops working after a while? The markets are always changing. It’s never fixed, but always in transition from one phase to another. If you’re using a trend trading strategy, then you’ll lose money in range markets. And… if you’re using a range trading strategy, then you’ll lose money in trending markets. The profitability of trading systems seems to move in cycles. Periods during which trend following systems are highly successful will lead to their increased popularity. As the number of system users increases, and the market shift from trending to directionless price action, these systems become unprofitable, and under capitalized and inexperienced traders will get shaken out. Which is the best trading strategy to use? A good approach to trade in an accumulation phase is to trade the range itself. This means going long at the lows of the range, and shorting at the highs of the range. Your stop loss should be placed beyond the end of the range. In an accumulation phase, I would be more inclined to go short than long. Why? Nonetheless, I’ll trade along the path of least resistance, which is towards the downside. Disclaimer: Please do your own due diligence before risking your money. I’ll not be responsible for your wins or losses. If 200 EMA is flattening out and the price has fallen over the last 6 months, then identify the highs/lows of the consolidation. If price reaches the high of the range, then wait for price rejection before going short (could be in the form of Pinbar or Engulfing patterns). If price shows rejection, then enter your trade at the next open. If entered, then place your stop loss at the high of the candle, and take profits at the nearest swing low. Which trading strategy to avoid? Do not trade in the middle of the range as it has a poor trade location. Price could easily swing back towards the highs/lows. How do I know if it’s an accumulation and not just another consolidation within a trend? You don’t know until the fact is over. Because even the best-looking accumulation in the markets could turn out to be a consolidation within a trend. Until the fact is over, I’ll trade along the path of least resistance, which is towards the downside. After price breaks out of the accumulation phase, it goes into an advancing phase (an uptrend) and consists of higher highs and lows. In an advancing phase, you want to employ a trend trading strategy to capture trends in the market. If you’re interested, you can read more on how to successfully trade pullbacks and breakouts here. When the price is in an uptrend, the last thing you want to do is to go short, aka counter-trend. I’m not saying it’s wrong, but the path of least resistance is clearly to the upside. By trading with the trend, you’ll get a bigger bang for your buck as the impulse move is stronger than the corrective move. A good approach to trade in a distribution phase is to trade the range itself. In a distribution phase, I would be more inclined to go long than short. Why? Nonetheless, I’ll trade along the path of least resistance, which is towards the upside. If 200 EMA is flattening out and the price has rallied over the last 6 months, then identify the highs/lows of the consolidation. 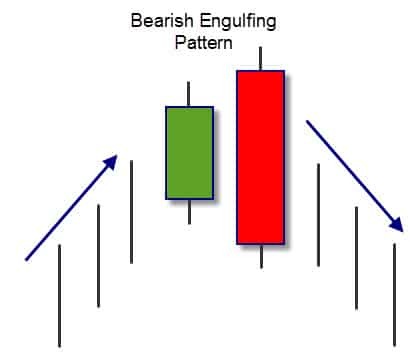 If price reaches the low of the range, then wait for price rejection before going long (could be in the form of Pinbar or Engulfing patterns). 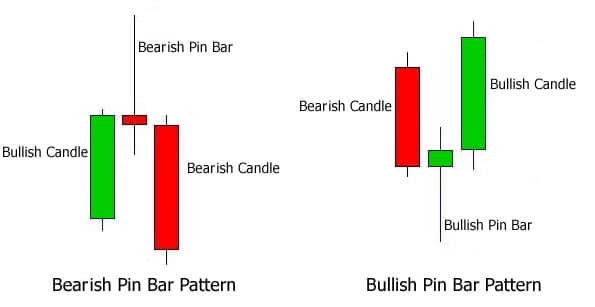 If entered, then place your stop loss at the low of the candle, and take profits at the nearest swing high. How do I know if it’s a distribution and not just another consolidation within a trend? Because even the best looking distribution in the markets could turn out to be a consolidation within a trend. This is why you always trade with a stop loss and proper risk management until the fact is over. Trade along the path of least resistance, which is towards the upside. Which is the best strategy to use? 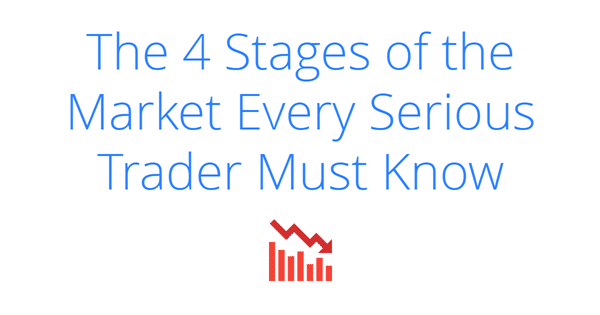 In a declining phase, you want to employ a trend trading strategy to capture trends in the market. When the price is in a downtrend, the last thing you want to do is to go long, aka counter-trend. I’m not saying it’s wrong, but the path of least resistance is clearly to the downside. For further reading, I recommend the works of Richard Wyckoff, Stan Weinstein, and Mark Minervini. Click here to save this infographic. You’ve learned the best trading strategy for different market conditions. In accumulation or distribution, you’d want to trade the range, and avoid a trend trading strategy. In advancing or declining phase, you’d want to adopt a trend trading strategy, and avoid taking counter trend setups. So, what is your best trading strategy for different market conditions? very good sharing to show us how to trade with the uptrend , downtrend and side way market. I’m glad the summary helps. Don’t hesitate to let me know if there’s anything, I’ll be glad to help. Please I still have problem with emotion especially when I close a trade. I don’t risk more than 1% of my trading capital and the expectancy of my strategy is positive. Whenever I win a trade I feel happy but whenever I loss I equally feel bad. I don’t get emotional at entry or during the trade. What should I do to overcome this problem? 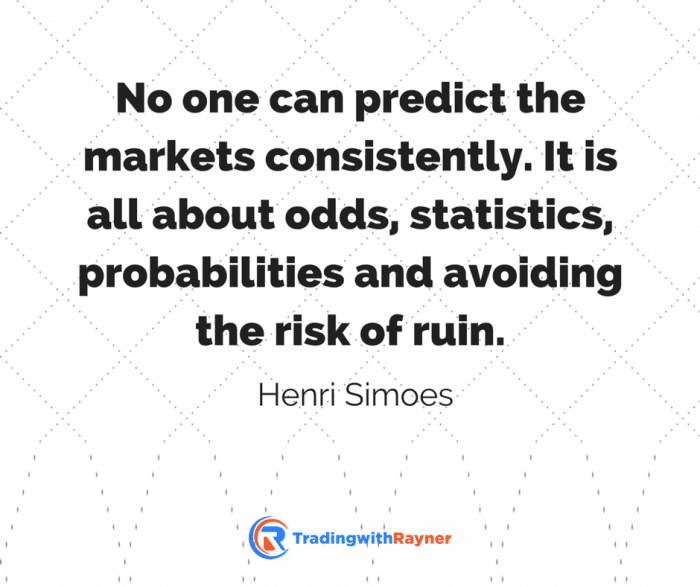 In the short run your trading results is random. But in the long run, if you have an edge in the markets, it will play out according to your system’s expectancy. You’re trading to make money, not to be right. And you’ll only be consistent trader if you are consistent in your trading actions. This is a very amazing post that you have made. very informative and you have helped the trader out there to follow the trend. But like you say, no one knows and it is indeed very hard to predict markets. Other tools that can be used is the cross of a smaller moving average with the longer moving average when on trend when volatility is still low and increasing. The times where this trends form, or also something I discovered by watching the 4 hour chart is to use the drawing tool the linear regression to see where price is at the moment (to see where price is within that range to follow buying the lows, selling short the highs) Great stuff. For some reason, you make money for 2 weeks and then you have bad weeks. is very hard to keep consistent in my trading using a very similar system as what you have shown. very hard profession indeed. Thank you for your feedback, I’m glad you find it informative. Yes trading is the “hardest easiest money” you’ll ever make. Consistency is key here. One thing I didn’t see in your post on trading on trend is using the market trend. One strategy I use when trading using trend in my system is to make sure that I am trading with the direction of the market. If the market is trending higher then I use that as wind behind my back so to speak so that the stocks I trade have that added assistance to be pushed higher along with the market. If the market trend is down, then I sit on my hands (I don’t short) and don’t buy any new stocks. Using moving average of the $SPX is an easy way to do that. Has worked well for me in my trading. Thanks and great post here! Yes looking at the direction of the overall markets would work well with stocks. But in markets like futures, there’s no “authority” market to reference from. Amazing post, thank you for sharing, your website is a must and I like it so much. Good job Rayner, much appreciated. Kindly to mention that you have a type error in the section – declining phase trading set-up. You should short instead of long, and you should trade the breakout when you see breaks below swing low/close below swing low. Below are the bullets in “declining phase” you should fix. Thanks. Thank you for your feedback. I’ll ammend it accordingly. I got it done on Fiverr actually.